The Vinci Expert is making history. Our own Vinci Expert is being displayed as part of 'Stories of Things. 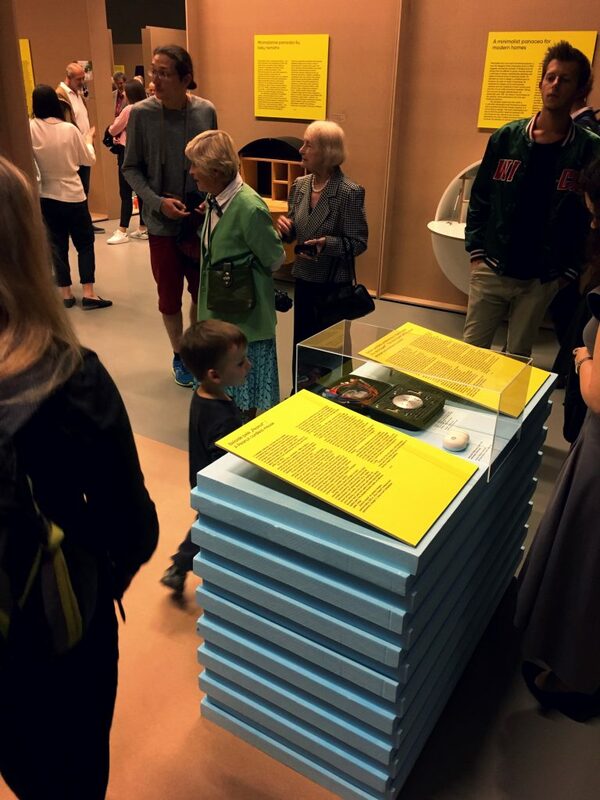 Lithuanian Design 1918-2018' exhibition spanning through the turbulent periods of Lithuanian history of independence, occupation, and independence in the 20th century. As man-made objects are some of the best illustrations of a country's history, Elseta is proud to contribute to the exposition covering the past century of Lithuanian design. Aptly named after one of the greatest inventors of all time, the Vinci Expert is a serial protocol analyser and interface converter, a tool designed to avoid communication problems between different devices. The Vinci Expert is aimed at automation, electricity, air-heating and telecommunications professionals, security systems engineers, integrators of retail systems and home automatisation, and product developers. 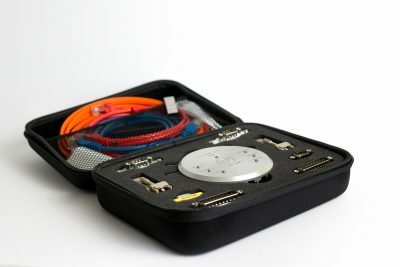 Before the advent of Vinci Expert, specialists would have to carry a bagful of cables, connections, and home-made electronic boards, which took up a lot of space, were not standardised, and only had limited functionality. The Vinci Expert set is small enough to fit on a tray, contains specialised software, and attaches itself to metal surfaces with magnets, eliminating the need to be held in the hand. The name ‘Expert’ refers to the more functional second version of the device. Its industrial design was inspired by Leonardo da Vinci’s Vitruvian Man, representing the perfect proportions of the human body based on the golden ratio. The layout of the device’s elements visually extends the lines of the human figure, resulting in an ergonomic shape that is convenient to hold in day-to-day situations. The positioning of each component, button and LED light is based on the golden ratio and Fibonacci sequence. The Vinci Expert is a premium-class product from Elseta. It has received international recognition, such as a platinum A’Design Award and a bronze International Design Award.